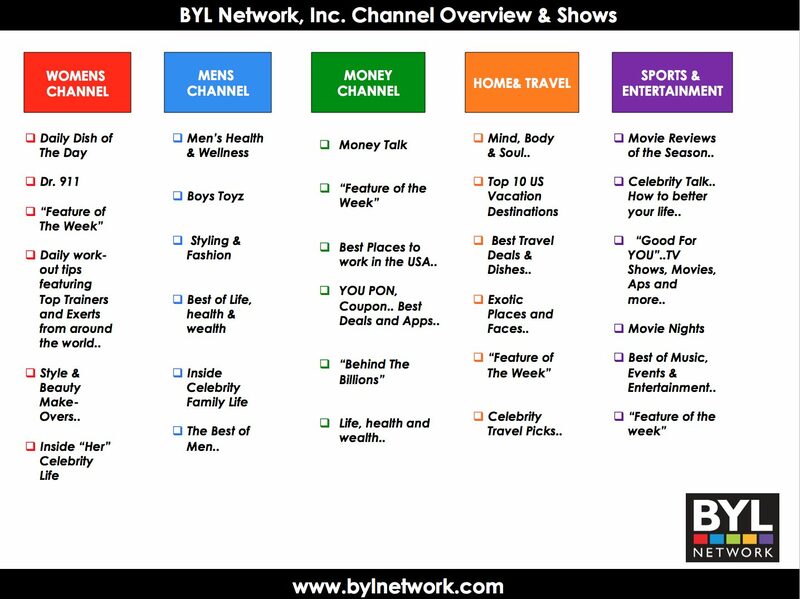 BYL Network, Inc. was created to better the lives of people around the world by offering a revolutionary online broadcast platform that allows anyone around the world access to watch "Live" or "On-Demand" programming. The Network features 52 weeks of original and syndicated content hosted by celebrities, experts and real people like YOU. Upload videos, share your personal success stories and together we can better the lives of people around the world.